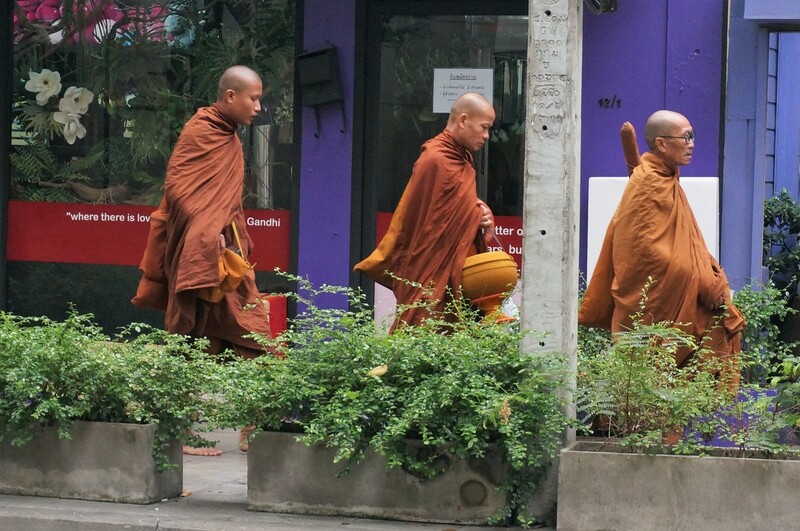 It is common to see Buddhist monks everywhere in Thailand. 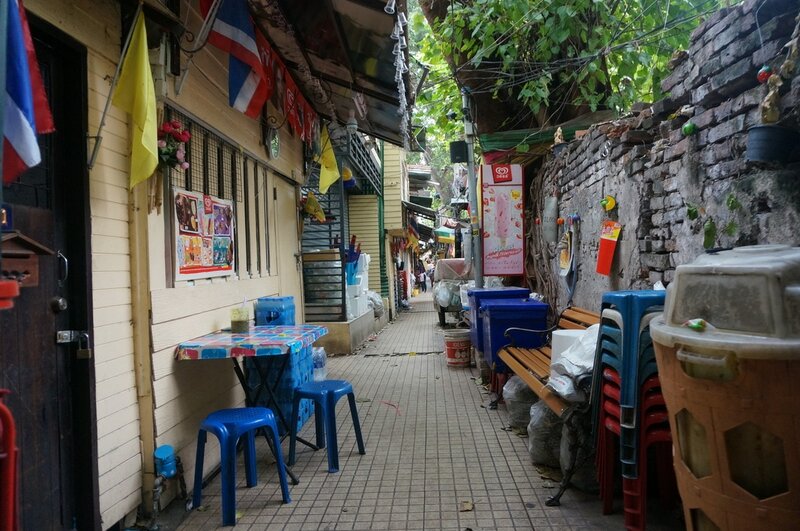 Alleys like this are put to good use: this one contains several storefronts, repair shops, and homes. 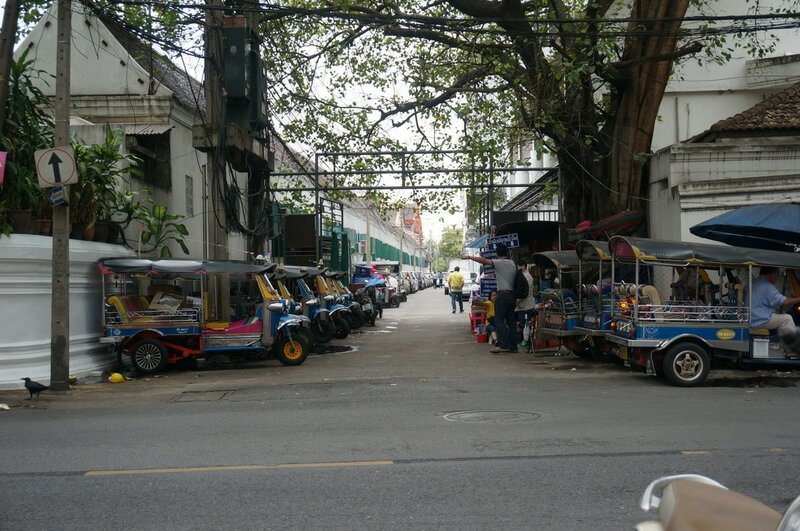 Tuk-Tuks are a common form of hired transportation much like a taxi in the USA. 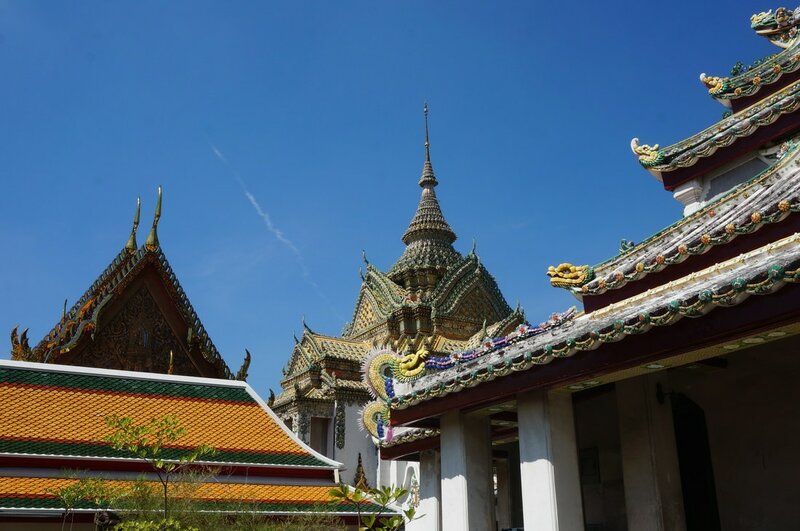 Temple complexes dot the skyline of Thailand. 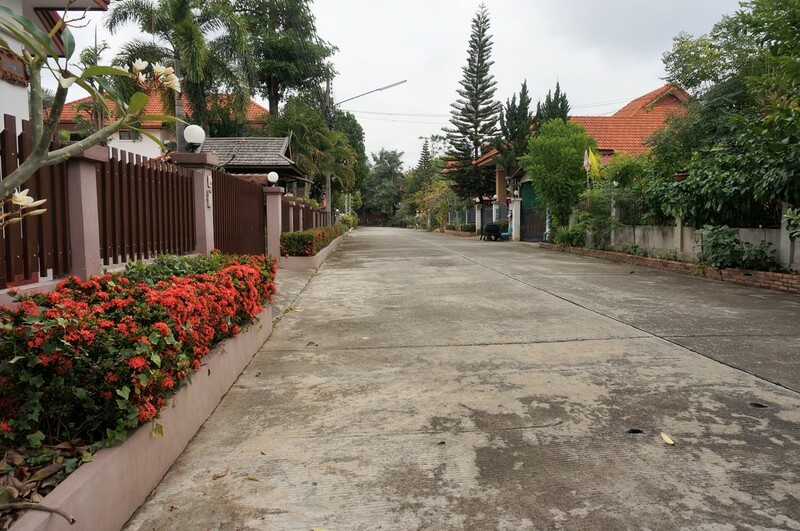 A typical street in Thailand. 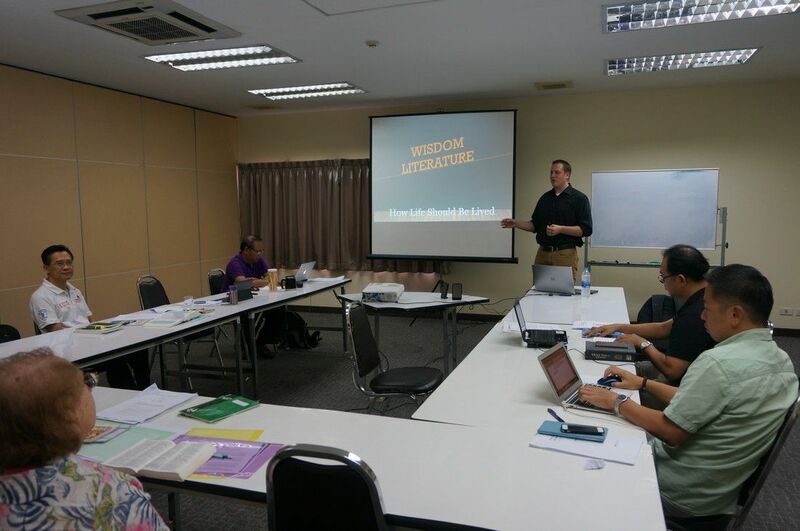 Greg is the Old Testament professor with ABTS - equipping Asian leaders for ministry. 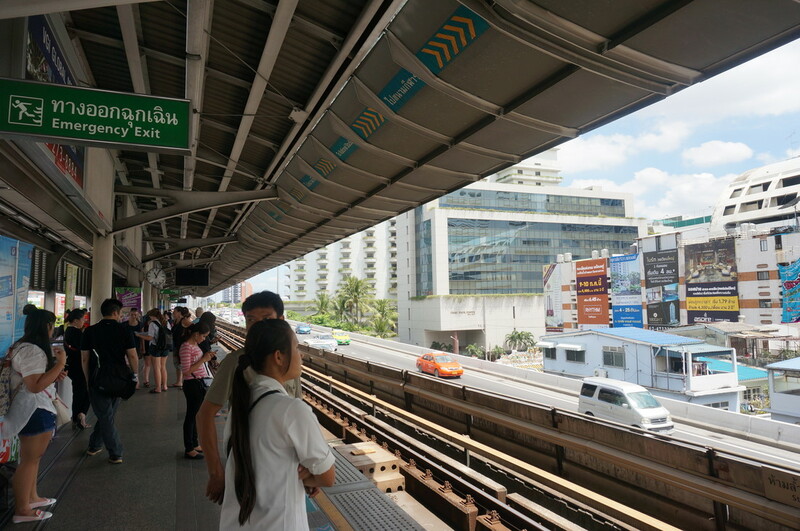 Public transportation is a necessity. 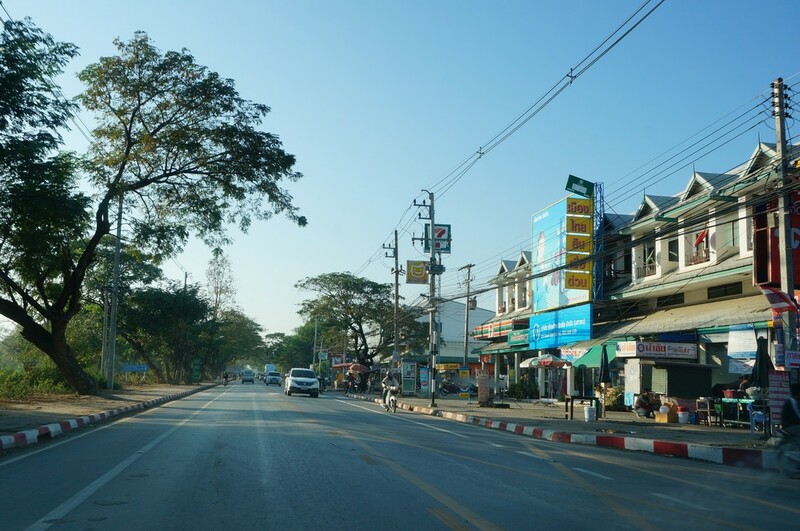 Here is a more suburban style neighborhood in Chiang Mai, Thailand where ABTS is headquartered. 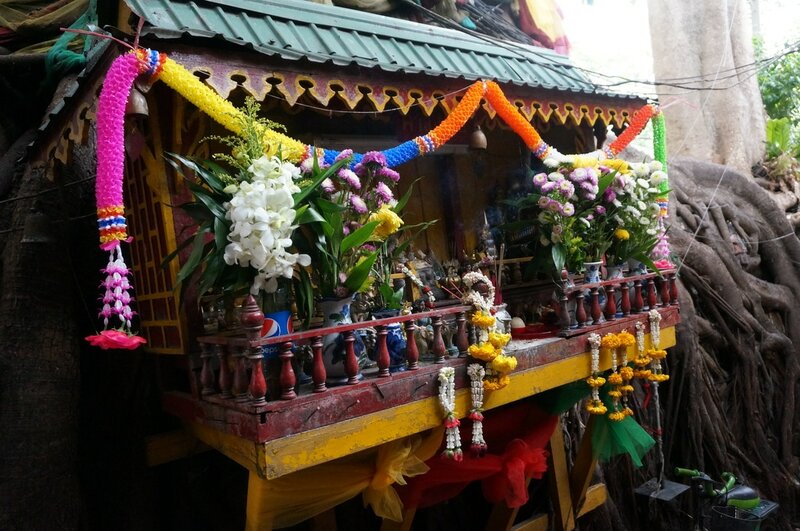 Spirit houses are outside most homes and businesses in Thailand. 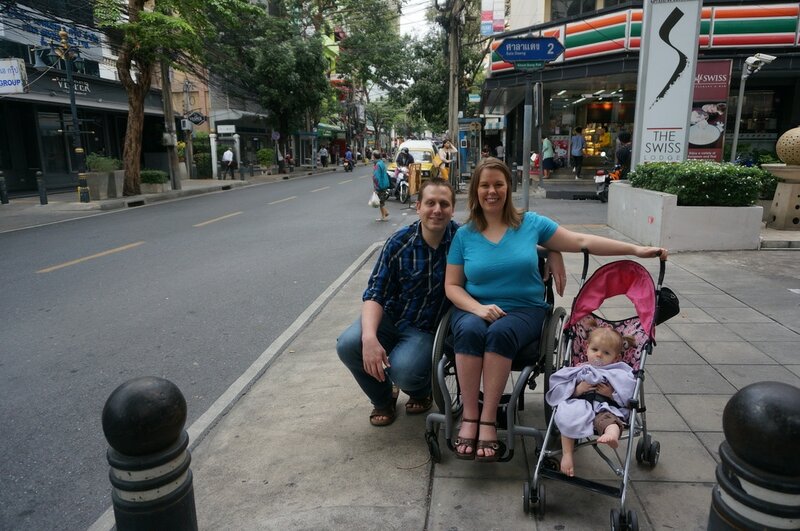 The streets of Chiang Mai. 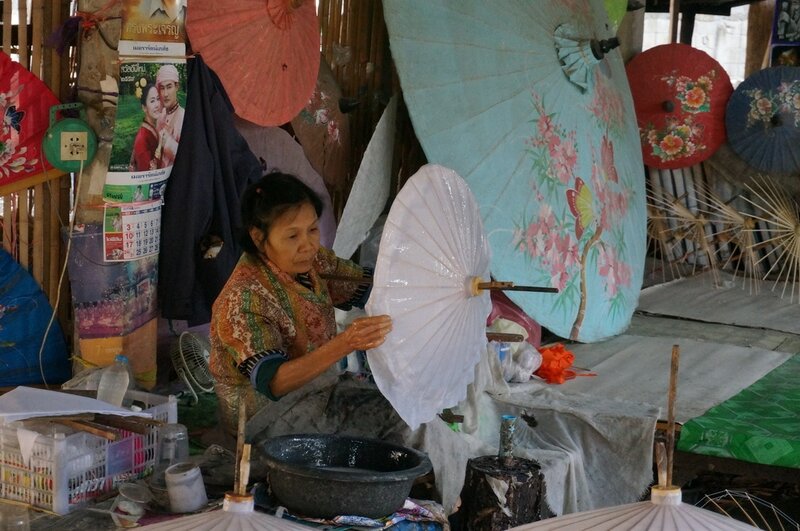 A traditional umbrella maker practicing her trade. 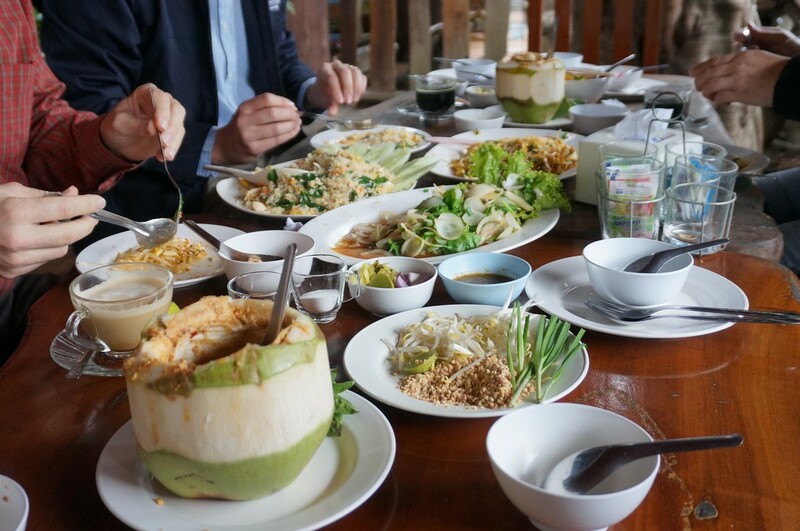 Thai food tastes just as delicious as it looks! 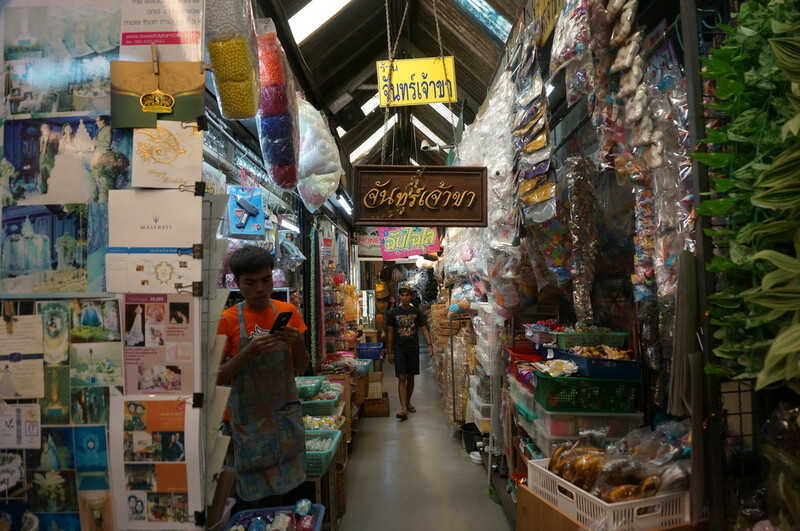 Markets sell anything that you can think of in closely-packed stalls. 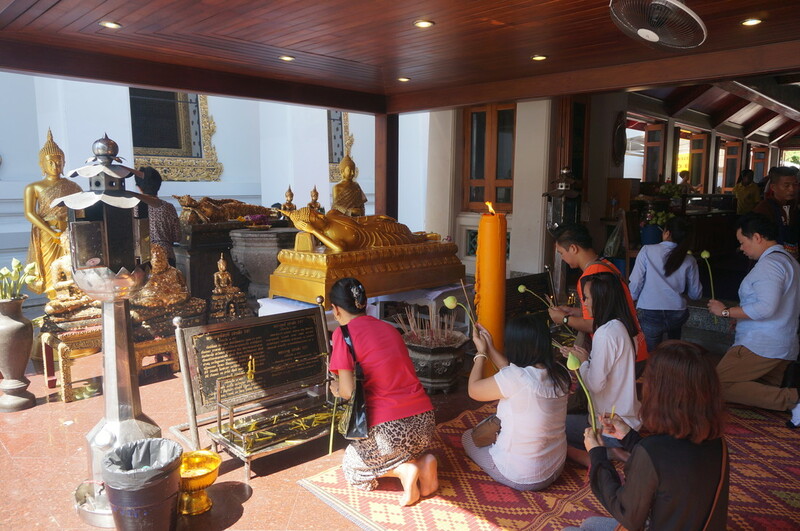 Ninety-four percent of Thailand is Buddhist. 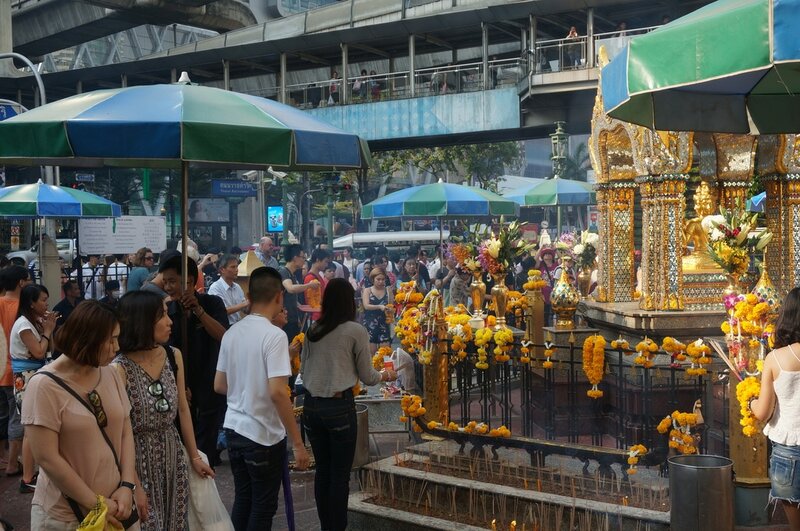 The sight of people burning incense to idols is common. Temples and shrines are very busy places that make a lot of money. 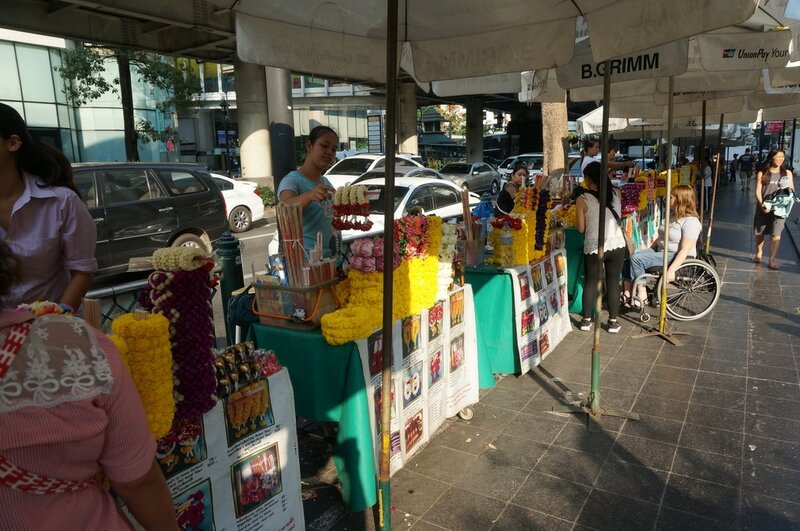 These vendors sell flower wreaths and incense sticks people can offer to Buddha in hopes that he will hear their prayers. 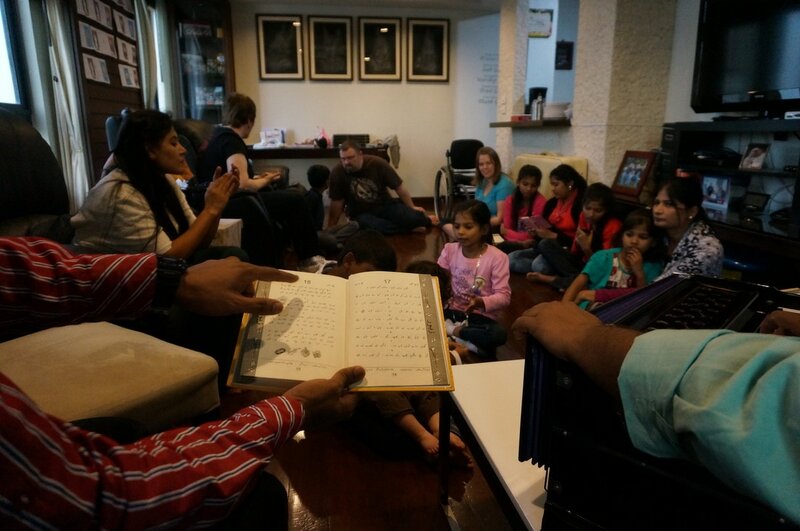 In spite of the great amount of idolatry, there are worshipers of the true and living God in Thailand that come from many nations!